Timothy Wade Moore, age 64, surrounded by all the love in the world, was guided to the Spirit in the Sky on February 11, 2019 by his loving Parents and Niece, Vern and Dotty Moore and Shauna Bailey who preceded him in death. Tim was (ACTUALLY) born in Troy, OH on August 16, 1954. Tim spent his life carving his own path, starting at the very young age of 16 when he married his childhood crush, Joanna. They were fortunate enough to celebrate their 47th anniversary on January 29th. Together they had four children, Stacy (Rick) Wells of Lewistown, Heidi (Zach) Rhoades of Bellefontaine, Tara (David) Organ of Bellefontaine, and Zachary Moore (Joseph King) of West Carrollton. Tim is survived by his beloved big Sister, Suzanne and her husband Bob who were both there through every major life event and whom Tim loved very much. Tim is also survived by his older Brother Mike (Julia) Moore of Bellefontaine, both of whom he also loved very much. Also Surviving are his Nieces, Mindy (Barry) Voss of Bellefontaine and Ann Marie (Johnny) Ferguson of Rushsylvania who were more like little Sisters than Nieces. Tim is also survived by his two Great-Nieces, Sydneigh Patrick and Madison Wilt. Often times with large Families, it’s difficult to develop a tight connection, but to both Tim and Jo, Family has always been the most important piece in the puzzle of life. Many years ago, Tim and Jo began arguing with their Family in regard to who loved whom “MOORE”. For the rest of the surviving members of his Family, Papal would want you to know “I LOVE YOU MOORE”! There were a few defining moments in Tim’s life that filled him with the most pride, one of those moments being when he became a Papal-and later, a Great-Papal. Together, Tim and Jo shared 8 Grandchildren and 9 Great-Grandchildren who all survive. Of the 9 Grandchildren, they are Alexandra Wells-AKA Nanny Bear/AL (Jeremy Mosley), Ashly Wells-AKA Little Bit/Rash (Austin Smith), Dustin Wells- AKA Meat (Tia Hassel), Adrienne Wells-AKA Sunshine (Seth Ferguson), Carly Organ-AKA Wally, Kyeler Rhoades-AKA 420, David William Organ Jr-AKA Butch, and Chevelle Organ- AKA ‘SS’. Tim found great joy in becoming a Great-Papal to Aiden Smith, Addison Smith, Gabriel Mosley, Briella Comer, Brooklyn Mosley, Xavier Mosley, Brayson Wells, Rhyett Mosley, and Krew Ferguson. Throughout the years, Tim made some great friends who were more like Family, and to list them all would require too much paper. All of whom have held a special place in his heart and will remain in the hearts of the entire Family. As an adult, Tim gained two bonus siblings in Kim and Tim LeVan of Bellefontaine whose Friendship blossomed into an everlasting bond. Another moment full of Pride for Tim was when he was appointed a Fellow by the local Moose lodge #2563 where he also served as a Junior Governor for more than two years. Tim was also a member of the American Legion Post 173, and the Fraternal Order of the Eagles #2166. Visitation will be held Friday, February 15, 2019, from 3 to 6 P.M. and Saturday, February 16, 2019, from 12 noon to 1 P.M. at the Eichholtz Daring & Sanford Funeral Home & Cremation Center in Bellefontaine. 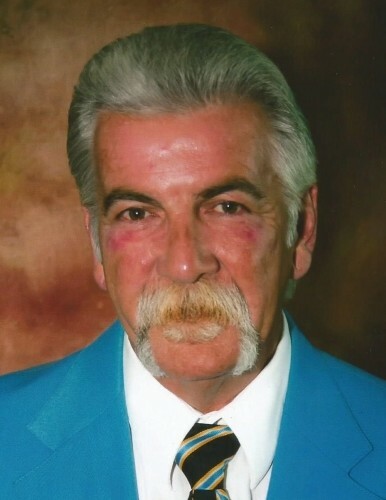 A memorial service will begin at 1:00 P.M. Saturday, February 16, 20129 at the funeral home. Burial will follow the memorial service at the Highland Memorial Cemetery in West Liberty, Ohio. The Family would like to extend our deepest thank you to Interim Home Health and Hospice for the love and support we have received through the most difficult process we’ve ever had to endure.